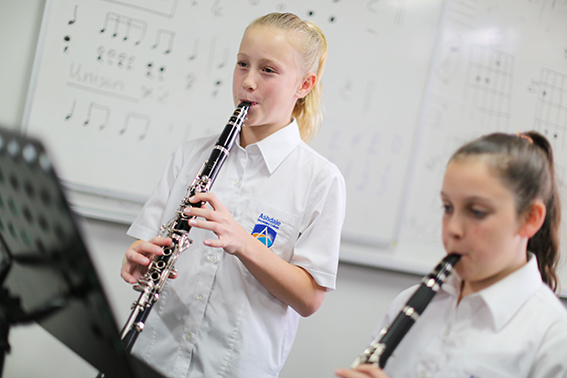 The Instrumental Music School Services (IMSS) provides instrumental and vocal lessons to selected students in government schools across Western Australia. This is a wonderful and unique opportunity for students to have a weekly lesson and participate in an ensemble, right up to the completion of secondary school. There is no cost for IMSS tuition. However, there is a cost to hire or purchase an instrument and consumables (tutor books, reeds, strings etc). Some instruments are available to hire through IMSS and are charged at a minimal annual rate. If you would like more information, please visit the IMSS http://det.wa.edu.au/imss/detcms/portal/ and follow the link for ‘Parents’ and ‘FAQ’. In Term 4 2018, students who have submitted the Expression of Interest form will be invited to meet the instrumental teachers who will ascertain suitability for joining the IMSS program at the beginning of 2019. The meeting will take approximately 15 minutes and no preparation or prerequisite is necessary. NB: If your child has already been offered a beginner position for 2019, you do not need to complete this form. If your child has previously applied to be part of the IMSS program but was unsuccessful in gaining a position in the past, I would encourage them to re-apply for consideration in 2019. Please print out and complete the Expression of Interest form and submit it to the front office at Ashdale Secondary College, or it may be emailed to Marisa.Hobbs@education.wa.edu.au by Monday 17 September 2018. Final beginner IMSS places will be offered by the end of Week 5, Term 4. If you have any further questions, please do not hesitate to phone or email me on 9302 7100 or Marisa.Hobbs@education.wa.edu.au.